Have you noticed that a lot more people seem glued to their smartphone screens than usual? They’re probably playing Pokemon Go, and whether you’re an e-commerce shop owner who knows it or not, your business stands to profit from participating in this new gaming craze. 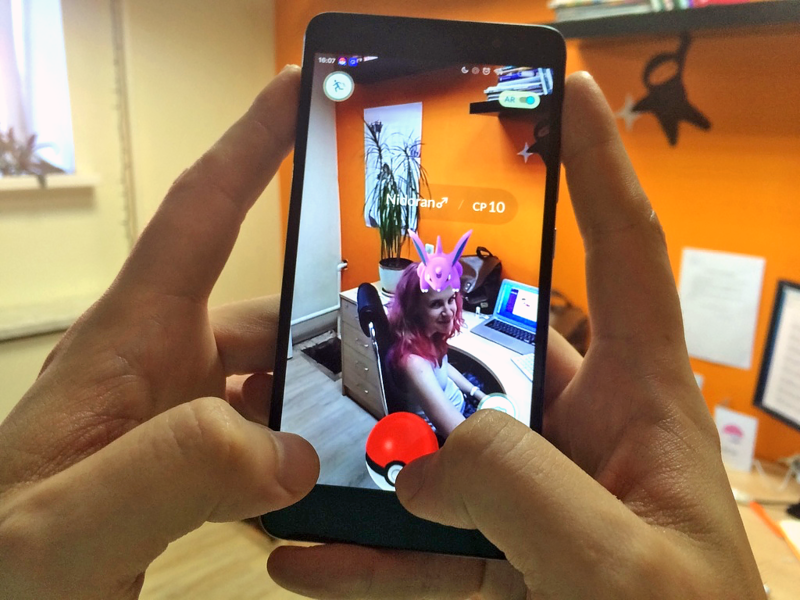 Pokemon Go is without a doubt the must-have game of late, an augmented reality (AR) game for your Android or iOS device that overlays cartoon monsters on surface level reality using your smartphone’s camera. The objective of the game is to catch and train these monsters — Pokemon — and use them to fight for control of parts of your own real-world geography: your local library, church, or historic landmark. The underlying novelty of the game is that it is played by exploring the real world. 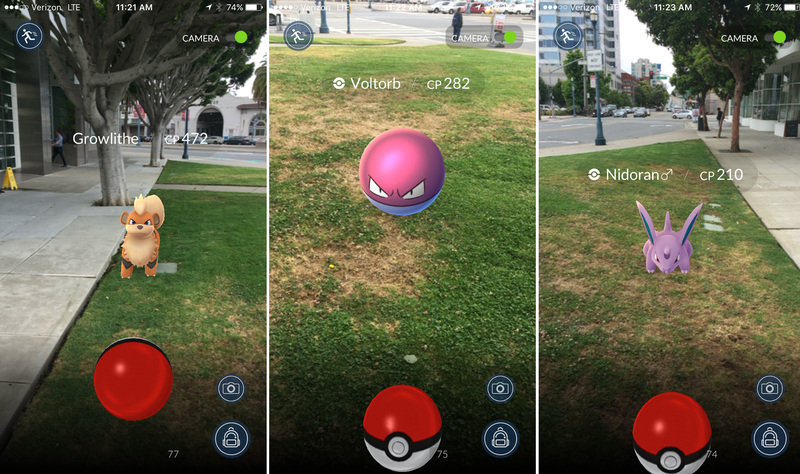 Whether it’s at your storefront or in your very own backyard, there are probably virtual Pokemon lurking all around you, waiting to be observed and captured by a smartphone-wielding player. The game’s downloads during launch week surpassed the engagement of the brand-name apps by tech bigwigs like Twitter, Facebook, Snapchat, and Instagram. Nintendo, which has historically been the odd man out when it came to mobile, is reaping the rewards of putting together what the crowd is clearly calling a worthwhile download. After a Nintendo company stock ballooned by 51 percent in just four trading days, winning the company $11 billion on its bottom line. This game is big business for the beloved video game manufacturer, and people love it so much that they’re willingly traveling out of their way just to find places with new Pokemon. Time will tell if the game remains popular for a significant time, but it’s what a lot of people are paying (rather obsessive) attention to at the moment. Where there is attention, there is money, and this of course means that we’re going to walk you through how to use this super-popular video game to generate some more money for your business. Go to Google Play or the App Store and download the app. Once you’ve familiarized yourself with the nature of the game, you should of course identify whether your business appears as a PokeStop or as a gym. Your proximity to these two types of in-game real estate will make a big difference in how likely you are to see new people walk in on a regular, recurring basis. Often situated upon local landmarks, PokeStops are areas of the game where users will flock to acquire Pokemon traps. The gyms are perhaps better understood as fighting grounds, where users congregate to train their Pokemon and virtually duke it out. So what if I’m close to a gym? Gyms are rarer than PokeStops, so unless you live in a major metropolitan area, your spot may be the only gym in town. In that case, count yourself lucky. Players can easily become your customers by swarming to the vicinity of your shop to play the game. You can expect people to be hanging around your area day and night, battling their monsters online. So what if I’m close to a PokeStop? Unlike gyms, PokeStops are all over the place, but they can still yield advantages to the trend-savvy e-commerce entrepreneur: with a PokeStop in your area, more people will be passing though than usual, but they won’t necessarily stick around very long. Pokemon: Go players need to visit PokeStops in order to keep playing the game. Your storefront will perhaps get some new eyes on it, but the challenge is to catch their attention more quickly than they can pick up a few virtual items. Lure modules are an item that you can buy in-game in order to attract more Pokemon than usual to a designated area for 30 minutes. Lures appear on the players’ in-game map, so they are incentivized to travel in order to take advantage of your lure. As the more-involved players are also motivated to catch as many different types of Pokemon as possible, some players will hang around the lure modules for longer than others because doing so significantly increases the likelihood of catching more Pokemon. If you buy the in-game currency in bulk (14,500 virtual coins can be yours for $100), expect a lure module to cost you $1.19 per hour. It’s perhaps a small price to pay for the increase in foot traffic you stand to reap. If it suits your brand’s image and personality, use Twitter and Facebook to brag about the Pokemon you find in and around your storefront as a means of enticing other players to come around. Offer gamer-only discounts to customers who show you they are playing the game in your store, or if a player can prove he or she is a member of that moment’s winning team. Furthermore, you’ll want to lightly update your standard marketing efforts. You’ll need a plainly obvious Pokemon indicator visible somewhere as people pass your store. It will signal to them that you’re in on it, and it may just move them to investigate what you’re selling. If you want to go unconventional and all-out, then dress up in a Pokemon suit and bark people into your store. What if my business doesn’t have a location near a gym or PokeStop? Far away from all the Pokemon action? Does your store operate entirely online and you have no physical locations at all? It’s time for you to investigate setting up a pop-up shop, a small, temporary physical store that aims to take advantage of a trend of season. This retail behavior is increasingly common, even from large brands with conventional shops around the country. There’s never been a better time to set up a pop-up shop; it will let you and your store’s items travel to these newly minted high-foot-traffic areas. These shops are a cost-effective way to take your inventory to an increased number of people who may not otherwise encounter your brand. Tom Blaze, owner of L’Inizio Pizza Bar in Queens, New York has been thanking his lucky stars for the newly increased business the game has brought him. After noticing he was situated immediately next to a PokeStop, he started setting lure modules to attracting Pokemon-seeking customers. He reported a 75% spike in sales with no signs of slowing down. By harnessing the new gravity of your area’s virtual gyms and PokeStops, your business has an opportunity to profit and win new customers. No matter which team has the lead, rest assured that you stand to gain some real-world money if you implement these ideas thoughtfully. If and when this Pokemon craze passes, you’ll have surely picked up some well-formed marketing chops by participating in it. When all’s said and done, you might even write a book about it and sell it in your Ecwid shop. Happy hunting!